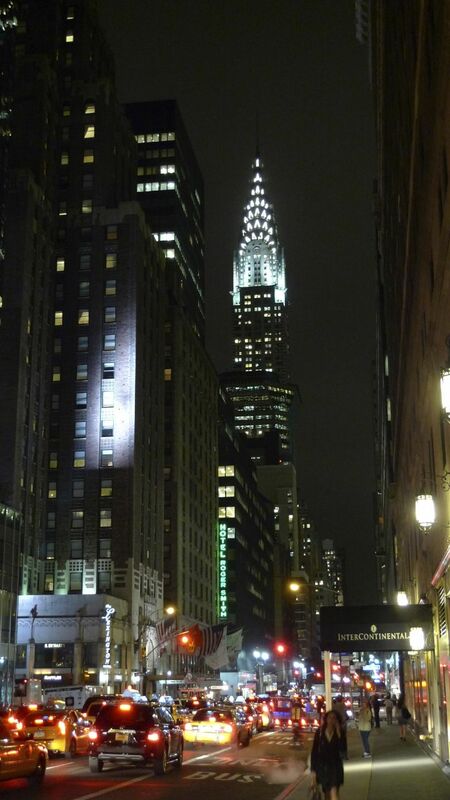 New York City is, by any measure, one of my most favourite places to go. So I was very pleased that we had a trade show in NYC in early October, and I was asked to attend. I knew about the event for a while, but figured it wasn't one I'd be going to. Pleasant surprises. Needless to say, I was quite excited about it. It's taken me a while to get this post written, with all the craziness that's going on with moving into our new place. The flight to New York was uneventful, and I got upgraded to business class. Happy days. The weather was nice, and there were great views of the Rockies. The trip out was uneventful and productive. 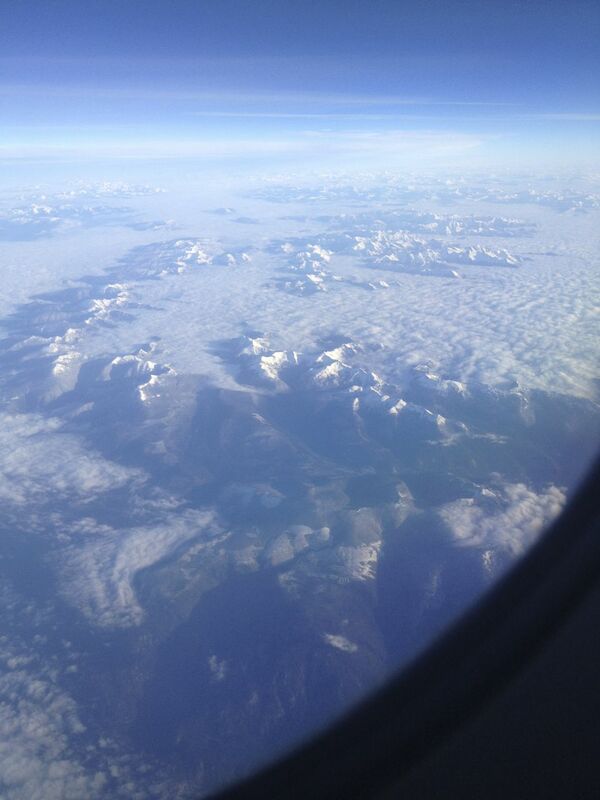 I got upgraded, and was able to get a pile of work done on the Vancouver --> Toronto portion of the flight. I was only going to be in NYC for 3 1/2 days, and I was eager to get there. 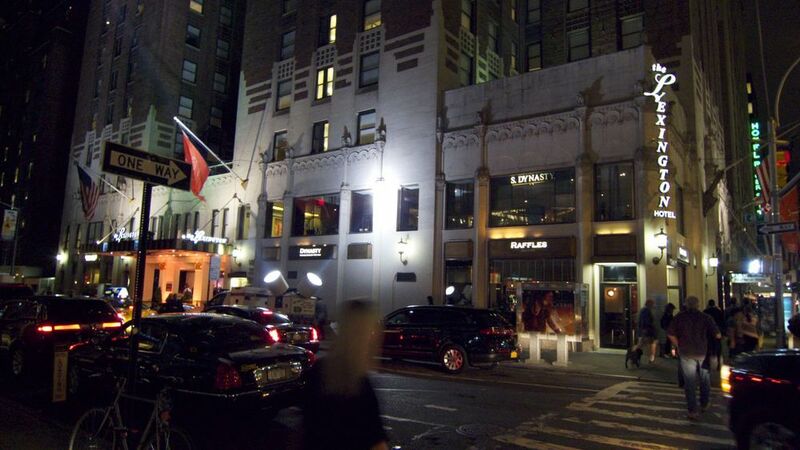 The conference was in mid-town, and I got into a cool hotel, The Lexington, at 49th and Lexington Avenue. It was a great location. 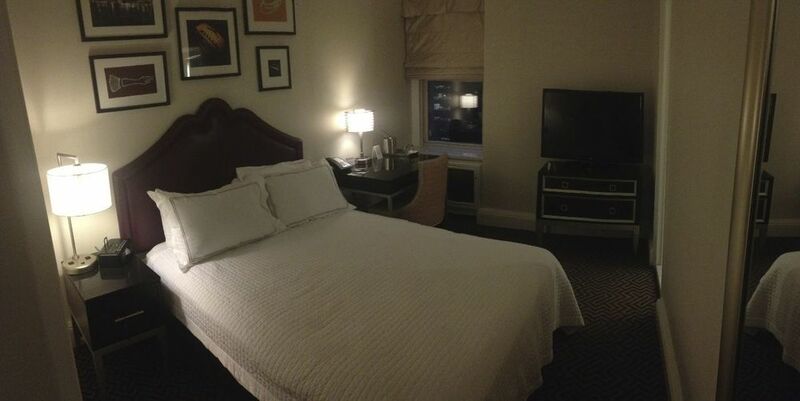 The room was typical New York small, but the hotel had been recently renovated, and was very funky. The outside view of the hotel I was staying at. Small, but well appointed rooms. All newly renovated. Of course, I was there for work, and Thursday and Friday were dedicated to the conference we were attending. We had a small display at the ESRI's GSI for the United Nations event (the UN is a big customer for us). For those of you that wonder what I do, here's what our booth looked like at the event. 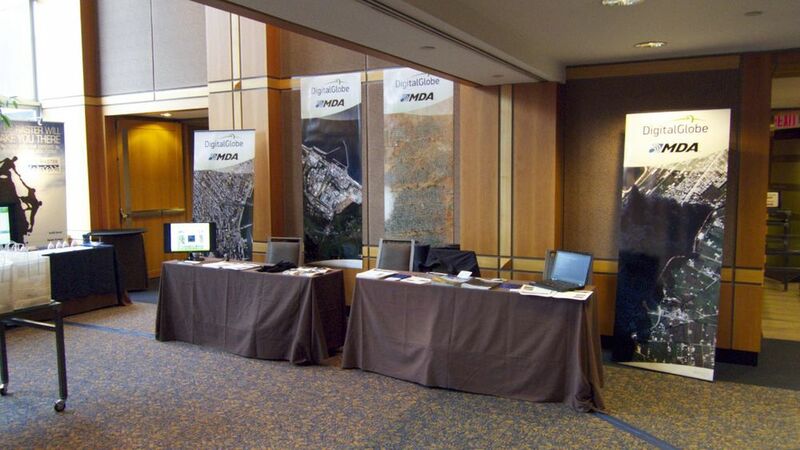 Our "booth" that we shared with DigitalGlobe at the UN Conference. One of the banners was this great satellite image of downtown New York. Over the course of the to days, we picked out many interesting landmarks and features in the image. Of course, most of our days were busy with customers and the event, but I did get to have the evenings to myself. I wandered a bit, taking some pictures around New York. I didn't keep most of them, but here are a few. What would a trip to New York be without a visit to Times Square? Friday afternoon, the conference ended a little earlier than I expected, and gave me some time to enjoy the afternoon. 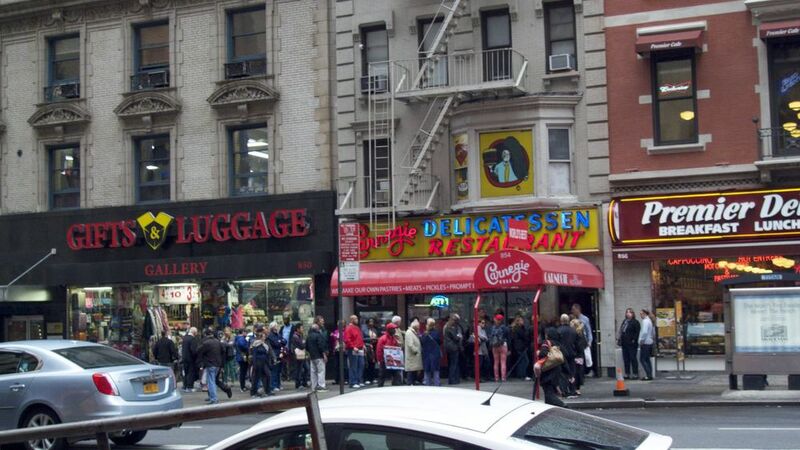 As it was just after lunch, I decided to head over to the Carnegie Deli, a New York Classic. Sadly, even at 1:30 in the afternoon, there was a huge line up out the door. As much as I love the place, I don't wait in lines for a restaurant. So instead I headed across the street to another deli, and had a sandwich that while not as good as the Carnegie Deli, was still pretty tasty. It was a big lunch! After lunch, I headed over to the MoMA (Museum of Modern Art), to sped a few hours getting cultured. I hadn't been to the MoMA since they moved to this new location, and i was hugely impressed with the (not so) new space. It's pretty incredible, and houses an amazing collection. There was a temporary exhibit of the surrealist Magritte. The exhibit, Magritte: The Mystery of the Ordinary, was pretty amazing. After going through that exhibit, I wandered the gallery, not trying to get everything (it's too big), but selectively picking out a few cool things to check out. This was one of my favourite exhibits. It was a series of prints, set-up as one long sheet as if it was going through a film developer. It was super-cool. 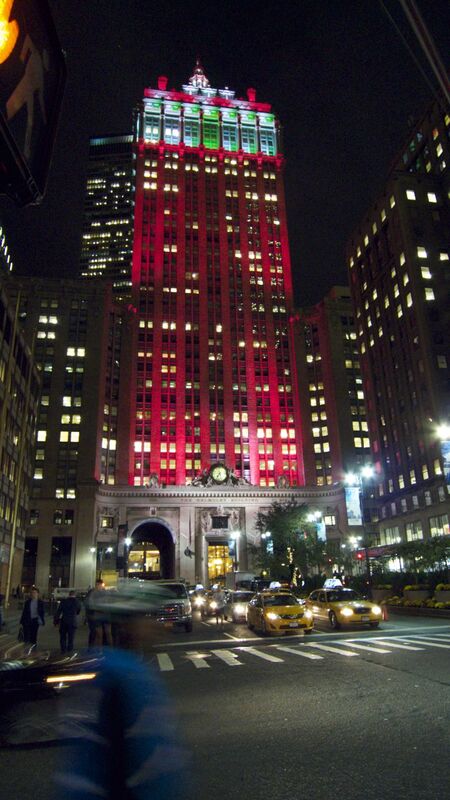 After checking out the gallery, I did a little bit of shopping along 5th Avenue, before making my way back to the hotel to drop off my bags, and do a change of cloths. My flight was in the morning (but at a reasonable time), and I was determined to hit a bunch of my favourite places across New York before the night was out. I took a taxi down to Union Square, where I hung out for a bit, and had a couple of local beers at a brew pub, while watching some sports. It was a pretty nice, local place, and so I didn't rush. 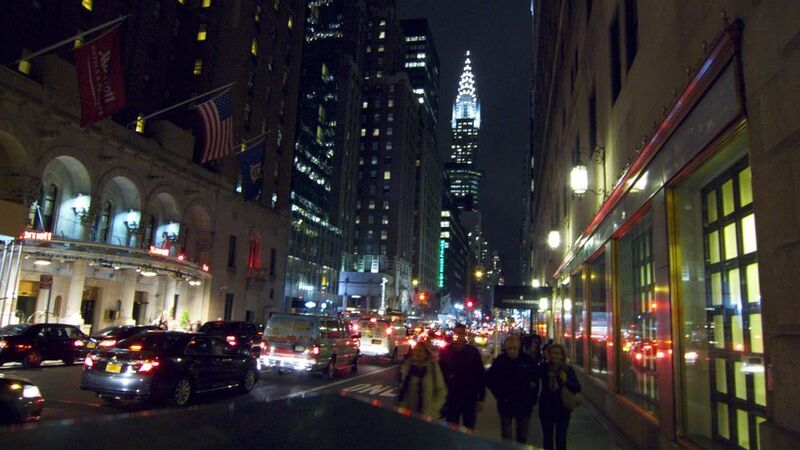 When it was time to go, I headed out, making my way towards the Meatpacking District to find some dinner. Along the way, i got to make a stop in Washington Square Park, another one of my favourites. 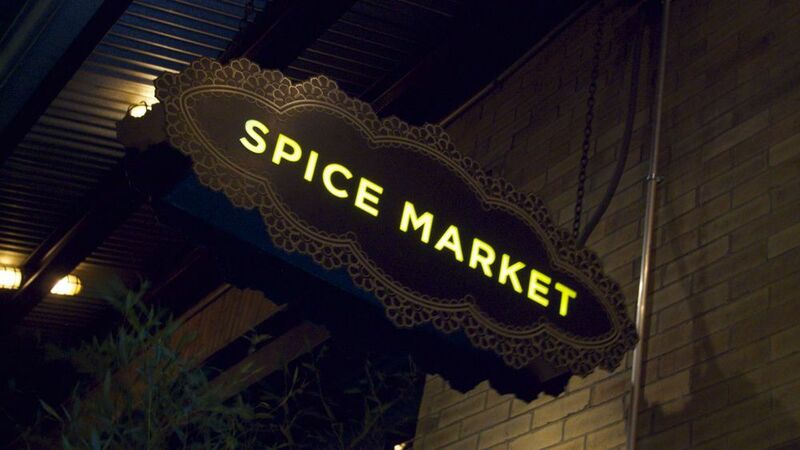 For dinner, I stopped at what is probably my favourite restaurant in NYC - Spice Market. The food is always great, it it has such a great vibe. I've been a number of times, and always have a great time. After having an excellent meal, I headed back out to wander. 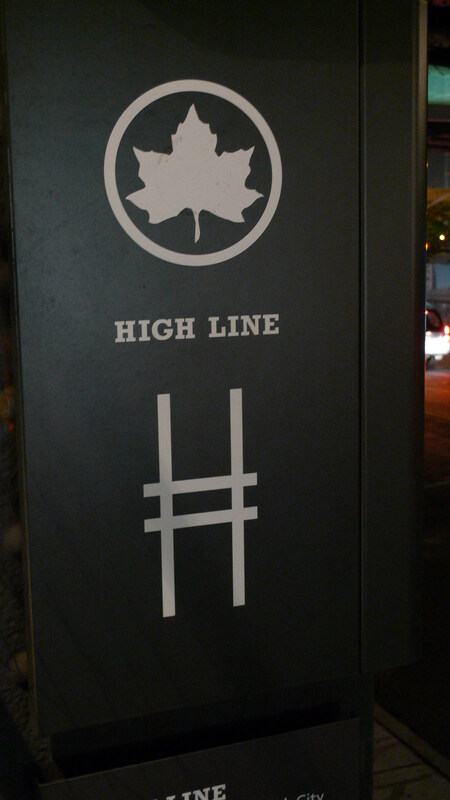 The Meatpacking District is also home to what is probably my single favourite feature of New York - the High Line Park. 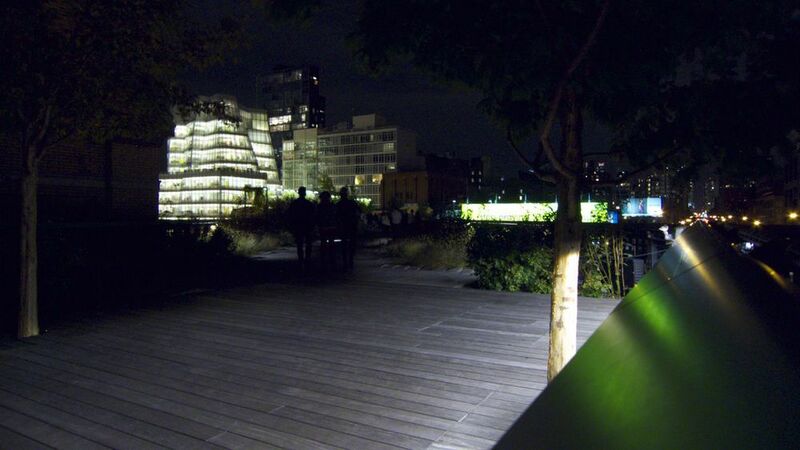 This is an old elevated rail line that they have converted into a park, and is simply amazing. Since the last time I was there, they have added a new section, over doubling the length. Which of course forced me to explore it, and walk the whole length. Even the sign for the Park is cool. The majority of the path is made up of boards, old railway ties and other material. It makes for a very fun and interesting walk. All along the path are art installation. For this one, a series of metal sheet were added to one the nearby buildings, with spectacular effect. In various places there are little side paths the lead to quiet areas. 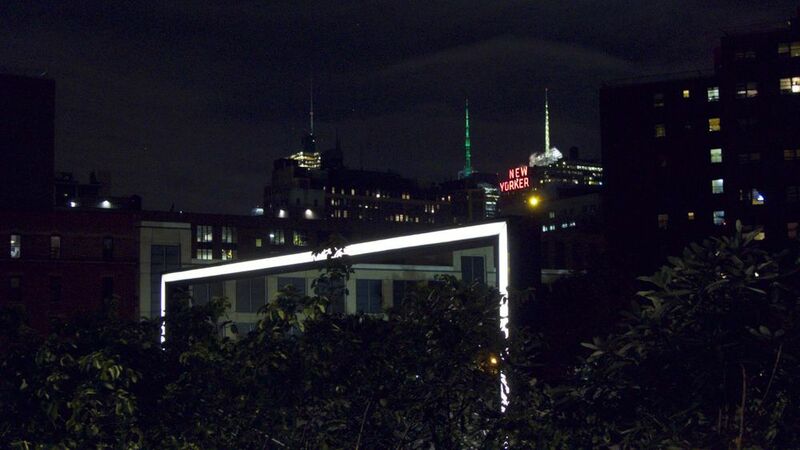 Lights were added to this arch, with views of some of New yorks buildings in the background. At the end of the current phase of the park, I headed back down to street level and caught another taxi. I had read about a very cool-sounding brewpub, the ABC Beer Company in Alphabet City, on the lower east side. True to the description, this was a very cool place, with a great selection of beers that I had never had before. It was a great atmosphere, and I chatted with some of the locals before calling it a night, heading back uptown and getting to bed ahead of my flight home the next day.